XT has gone 11-speed, and the new Shimano XT Cranksets are spinning on XTR/Dura-ace inspired bottom brackets. They have a smaller bearing size to enhance rolling efficiency and for shaving some weight. They are also better sealed to reject whatever muck mother earth conjures up and tries throw at them. I replaced my drivetrain about a month ago and went from 3x9 to 1x11 and cannot be happier. This review will be identical for all the parts I used to do the conversion on my 2014 Diamondback Sortie 1 29er. I chose all the parts as a good compromise for what I believe to be high quality, long lasting, lightweight and low cost parts. So far I have not experienced any problems with my setup and would recommend each part individually and as a whole setup. I have tried many times to get the chain to jump when back pedaling on the granny gear, but cannot. Including tax, I was just under $400 total for everything. I would highly recommend each part I used in my swap. Below is a list of the parts I used in my swap. Solid BB ridden xt for years. Tried XTR because it was on sale and did't notice a difference. This was my first external bottom bracket so I wasn't sure what to expect. At first it felt a little cheap and plastic but I figured since it's XT it should be fine. Weighing in at 76g, that's a huge drop from the 312g on my old internal one. So far it's riding great. It came with a little adapter for your wrench since its smaller. I think I'm going to just buy the cup sockets though so I can torque them. Wow! Juse 20 bucks for all this performance! Easy installation and super performance. Perfect match for XT crankset. This was an upgraded replacement for a bottom bracket that essentially seized after a couple of years of use. Diameter of this bottom bracket is smaller than other Shimano bottom brackets. But, this one comes with a plastic adapter that will work with your current BB tool. No need to buy another tool! Used to replace a Shimano SM-BB51 along with the Foundation Shimano Style BB Wrench. That wrench fits the original SM-BB51 cups and the new MT800 bottom bracket comes with a plastic adapter to adapt the wrench to the smaller cups on this BB. The plastic adapter is a pain, but got the job done. Comes pre-greased. It had been a few years since I last had Shimano drive train on my bikes. I had a new build and the price to weight ratio compared to SRAM was substantial. So I decided to try it out again. I was very surprised to see how much improvement from my old drive train there was. It is crisp, smooth and precise. Really happy with XT and will consider it for future builds and replacemenrs. This BB is labeled "mountain" but with the included spacer, I installed on a 68/73 BB shell Trek road bike. I believe the BB accepts shaft diameters of 24mm not sure though because most BB don't include the measurements. In my opinion, bottom bracket compatibility/sizing make BB the most frustrating item for me to purchase. I think it is the marketing aspect of not including the measurements but rather labeling BB the same name as the crankset the manufacture hopes to sell at the same time. JensonUSA is the bike shop I frequent most because of the price, selection, shipping offers (usually 2 days with the package arriving before noon), and return policy. 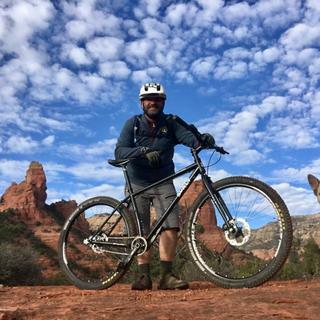 Ive been riding bikes for 25 years. In my opinion, Shimano makes some of the best components available. The price is right and XT finds the sweet spot between affordability and function. Shimano changes everything, but gives you an adapter. Light weight, extremely smooth, and looks to be very well sealed. Very pleased with this purchase and recommend the MT800 BB and Jenson USA highly. Quality of this part is top-notch, service and shipping were super-fast. Jensen carries good quality products at good value. Multiple purchases have been made with no issues. Highly recommend. Also very knowledgeable staff if you ever need to talk tpo them. This is a good BB for the price...not much else to say about that. Easy to install and fairly durable. But...even after you eventually roast the bearings, they aren't that expensive to replace. Great bottom braket replacement for my Single Speed rebuild! Great price for this Shimano XT M8000 bottom bracket. I couldn’t be happier with my new set up! Easily assembled and the compatibility with my Large Surely Karate Monkey was spot on! I was riding red rocks on the same day I assembled it! Its a shimano bottom bracket, works well, its cheap, and its easy to install. enough said. Excellent product. I replaced an older entry-level BB on one of my customers bikes. This new one was a fantastic price and spun very smoothly. I highly recommend it. This article is amazing for the price. The quality is very very good and i am very happy with my purchase. Along with an XT 8000 crank, this is maybe the best inexpensive BB ever. Easy to replace if you remember to clean the threads in your frame. Looks great and smooth creak free pedaling. Decided to replace my bottom bracket for this one as mine was beginning to creak. Pedaling feels a lot smoother now! Great product. Received the correct item and installed with no issues. Have not put any time on the new build yet, but will update if I find any issues with the product. New size with the plastic insert is kind of funny but it's exactly what you love and expect from a Shimano BB. Seals up great so it lasts a long time. There isn't much to discuss only to say that this is one of those work horse parts that lasts forever and you never notice because it works so well. The icing on the cake is the price. Great upgrade from my prior set up! Love not having the front derailleur to mess with. They were easy to set up (with the help of a friend! Works well for the SLX M7000 Crankset and Jenson's has good prices on most everything! Ótimo movimento central. Peça resistente e de bom acabamento. It's an upgrade the the BB70 (old XT). Cups are smaller, so you have to use the provided plastic tool or buy a new BB tool. Otherwise, it's an upgrade. Great value to finish off a XT build or just as a upgrade. Replaced a 2y/o bottom bracket (also shimano) for the sake of replacing when changing drive trains. Took a little to get the threads seated, but otherwise went on like a charm. Jenson's website does not show all the parts that come with this bottom bracket. Just so you don't have to spend time researching or calling customer service, I opened the box and it does indeed come with the special adapter tool plus 3 spacer rings. However, keep in mind that you will still need the traditional Shimano BB tool to attach this TL-FC25 to install the bottom bracket. Xt is always a good value. Can't go wrong. will this fit on my 2012 Stumpy? BEST ANSWER: No, this is a threaded bottom bracket. Your frame accepts a PF30 pressfit bottom bracket. You will need a PF30 to Shimano adaptor to run these cranks. Will this BB work on a 68mm shell with a 73mm spindle using the included spacers? BEST ANSWER: Yep, it comes with three 2.5mm spacers. For a 68mm shell you'll put 2 spacers on the drive side and 1 on the non-drive side. What bottom bracket tool do you need for this? BEST ANSWER: The standard Shimano BB tool that was used with previous versions works. The diameter of this BB is smaller, but included with the BB is a sweet adapter. The adapter fits over the bb and the tool goes over the adapter. I actually like it better than using the tool by itself on the older (bigger diameter) bottom brackets. So short answer is if you already have a Shimano BB tool, you do not need anything else. I bought a "SHIMANO TL-FC37 BOTTOM BRACKET TOOL FOR ULTEGRA SM-BBR60" tool that is steel and fits on a 1/2 drive socket wrench. It works great on the XT MT800 and is very well made.... I bought mine on eBay. You need the original outboard bearing wrench that is used on normal size outboard bearing cups and then the new xt bottom bracket will have an adapter in the box. You need the Park Tool BBT-59. The bottom bracket also comes with a plastic adapter to use the standard external bottom bracket tool. The bb comes withe a plastic adapter which works with a Shimano TL-FC32 wrench. I used the Park Tool 16-Notch Bottom Bracket Tool, 41mm version (BBT-59). Standard Shimano tool. The BB comes with an adapter. I used channel locks and a rag for scratch protection. Hi, i have scalpel team . today its run with sram and BB30 pressfit. i want to change to shimano xt crank. do i need the xt mt800 or the pressfit version? Can I replace a SM-BB51 bracket? BEST ANSWER: Quick answer, yes. All the shimano threaded bottom brackets play well together. In my experience the shimano ones hold up way better then sram and are way less expensive then Chris king or the likes. You will need a bottom bracket wrench and a torque wrench to reinstall the crank arms and pay attention to the torque on the bottom bracket itself as it will have an impact on the drag on the bearings. Or just pay a shop, but what fun is that. Good luck and keep riding! Yep, I will pay a shop for sure. Yes, this will replace that bottom bracket. Will it work with SRAM X1-1400 GXP crankset? BEST ANSWER: It should as long as that crankset has a 24mm diameter spindle and I believe it does. No, gxp means that the spindle's NDS diameter is 22mm so a different bearing is necessary. If it's threaded you will have to buy SRAM or from someone like wheelsmfg. That depends if you're frame is Press Fit or BSN Threaded. This is an English BSN Threaded BB. It accepts 24mm Shimano Spindle size. Yes. GXP has a 24 mm spindle just like Shimano hollowtech-II cranksets which usually pair with this bottom bracket. No, you will need a SRAM GXP bottom bracket. Will the Shimano BB-MT800 fit into a frame which currently has SRAM GXP bottom bracket? I am looking to change both cranks and BB to Shimano. BEST ANSWER: Yes this shimano XT BB-MT800 will fit the English threaded BB that the gxp was in . As long as you have a euro threaded BB and check the shell width. Will this work with Deore LX cranks? BEST ANSWER: Hi would not buy anything from Jenson USA, purchased a lot of things & when it comes to guarantee, they just don't care... go & support your local shops, yeah you may be spending more, but you are keeping those little shops in business, I hope you make a wise move, good luck. Hoping to replace square/tapered BB and crank set with Deore XT FC-M8000 hollowtech cranks. Is this the correct BB? This is the BB you’ll want. You can also use the XTR BB. Yes, this is the Shimano BB for those cranks. Will this work on 2015 niner jet 9? BEST ANSWER: I am relatively certain it will since you could opt for a XT build out when originally purchasing this bike. Pretty sure it won't on its own. I believe your frame uses PF30 BB. if the frame uses a threaded 68/73mm BB Shell. will this fit an 73 mn shell? BEST ANSWER: Yes, this will fit both 68 and 73 mm bottom brackets. The sleeve will press into a the cups at 73 mm. And will continue to press into a 68 mm as you turn the cups as you tighten your B.B. Yes it will. You will not have to use the included spacers. Can this bottom bracket fit a 2012 Santa Cruz Blur TRc? Santa Cruz website states that this bikes B.B. is a 73mm - Threaded - ISO, not sure if that’s compatible with this B.B. ? This should be compatible with your frame, but you also need to be sure that you are matching your crank spindle to this BB. If you are running a Shimano MTB style crank, you should be good to go. If you need further assistance confirming compatibility, hit up our Gear Advisors at 888.880.3811. It certainly will, I have one installed on my 2016 Santa Cruz 5010c which has the same 73mm bbq shell. Just be aware that you may not need to use the spacers supplied, check the included instructions. Yes, it should work for threaded BB with width 68-73 mm. As long as it is not an Italian thred (reverse direction), which most likely happens to be found only on Italian frames. I have a 2012 specialized camber. Is this the bottom bracket I need? If your camber is an elite or comp build then yes use the shimano mt800 bottom bracket 73mm threaded. If you have a pro or expert build you will need a PF30 73x46mm bottom bracket. No, your bike uses a press fit bottom bracket, this is a threaded bracket. you'll need a press fit bottom bracket like the attached. Will this work well with a RF Aeffect Cinch crankset (24mm)? BEST ANSWER: Yes, this BB-MT800 is for cranksets with 24mm spindle, so it'll work with the Race Face Cinch. will this fit 2017 jet 9 rdo? BEST ANSWER: I used this on a Non boost Norco THREADED bottom bracket. So I do not know about boost if you have that. I really like it and it solved my creaking. I have it on my 2016 RIP 9 RDO so I'd say yes, I don't see them using different bottom brackets on product lines. I have a 2017 transition patrol the website says 73mm BSA Threaded and has a gpx in there will this fit my bike? BEST ANSWER: It will definitely fit the frame thread and width. You may or may not need 1 of the spacers depending on the chain line you end up with. Yes, this fits 68 or 73mm shell width and english (BSA) threads. will this work with an older pair of XT cranks? roughly 2024 models? Will this fit a 2018 kona honzo al? BEST ANSWER: It depends. Some frames for that model take the pf92 and others take the gxp 73. If your frame uses the gxp then I believe it will fit. But it may not interface properly with your cranks. Best bet is to look up your bike on the kona website and see what they say. No, it is a pressfit frame and will not accept a threaded bb. Does this fit Santa Cruz Bronson v1 (2015)? replacing SMBB70 100mm for Motobacane Fat Tire Bike. Will this work? BEST ANSWER: Thanks. Turns out I have sram crankset S-1400 so I think I need a GXP one. Can this be used on a 83mm bottom bracket shell if the internal sleeve is removed? BEST ANSWER: Certainly it could, although I would just go for a Saint bb or use a 83mm sleeve with the new bb if you have one. Helps to keep water out of your bottom bracket which leads to longer bearing life. Hi!, please could you confirm if this crankset works with SHIMANO XT BB-MT800 BOTTOM BRACKET 73mm? thank you! BEST ANSWER: Purchased 2 sets of bb and crank for a specialized enduro and an intense tracer. flawless excellent performance. highly recommend . Thank you, I just received my set in the mail, thrilled to hear they work well together as a set. Will this fit a 2009 giant? BEST ANSWER: If your frame has a BSA (english)threaded bottom bracket shell then this will thread right in. Does frame have threads? If your frame is press fit(no threads) you would need some adapters to make these work. As long as it has a threaded BB then yes (as long as you don't have a downhill or freeride bike with the wider 83mm BB). Will this fit my 2010 Specialized Enduro? BEST ANSWER: I don't think it will fit. I couldn't find much specs for this bike model, but all I found refers to custom BB and PF30 variants on some models so this threaded BB won't fit. Check the BB shell on your bike, if you don't see threads in it (smooth finish) surely this BB doesn't fit your bike. Have a nice luck! Mostly likely, but use a measure or calipers to determine bottom bracket shell width, and then check the product details to make sure which if any spacers to use. Also, this is an English thread which should be right unless you have some version of press fit. Will this fit my Scott Aspect 950? BEST ANSWER: Looks like the 950 uses a Shimano BB-UN-100, which, appears to be at least 68mm. So, this should fit just fine. However, the BB on your Scott is for tapered cranks. You won't be able to use the existing crank arms and would need to use SLX/XT/XTR crank arms. If you're already aware of that then disregard! Good luck! BEST ANSWER: You will need to confirm that you have a 24mm spindle. If so, then yes, you can use the Shimano BB on Race Face cranks. will this fit a 24mm spindle? BEST ANSWER: Yes... Good luck. just make sure you use the spacers correctly. Also your 2017 JET 9 RDO states its a 73mm "threaded" BB. Do I need specifically sized hollowtech cranksfor this bottom bracket? BEST ANSWER: This is a standard size for Shimano crankset. All current Shimano spindles should fit.